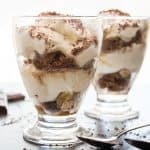 Tiramisu Ice Cream Parfaits, left over cake or cut up pound cake become the base for this creamy, delicious Marscarpone and Cream No Churn Ice cream Dessert. Just when you thought I was all Tiramisu’d out! Surprise, surprise. In the last couple of weeks I have been baking up a storm. Why you ask? Well soon this country will turn into a sauna and there will be no way that I am turning on the oven for any reason. So before that happens I thought I would take advantage of the cooler spring weather we are having and make some desserts. I had a can of sweetened condensed milk sitting on the counter the other day and of course my husband noticed and asked, “what’s that for? Why don’t you make some ice cream”? He loves No Churn Ice cream, especially Kiwi and the Toasted Coconut Lemon Ice Cream that I made. Catching site of a couple of slices of left over cake, I knew exactly the dessert I was going to make. 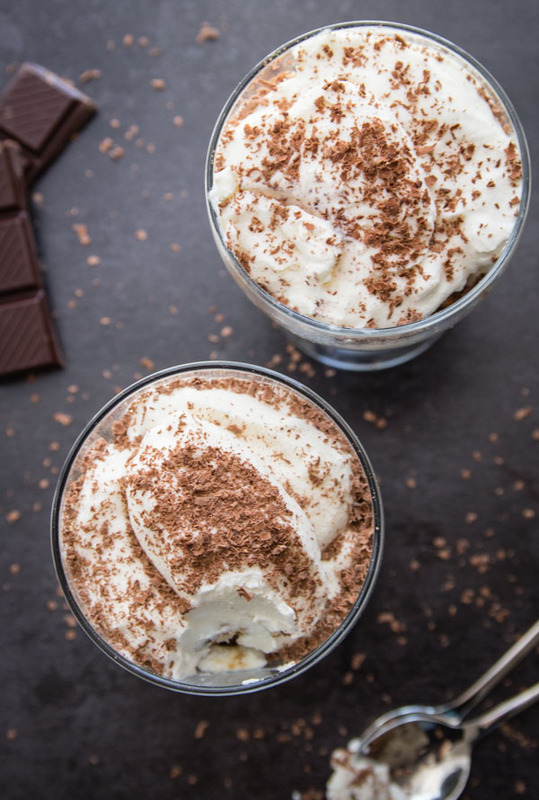 I would change his favourite Dessert, Tiramisu into Tiramisu Ice Cream Parfaits. I started out by making a no churn ice cream with mascarpone, a typical Tiramisu Filling without the eggs. I then cut the cake into bite size pieces, dipped them in some strong coffee and filled the bottom of a couple of freezable glasses. 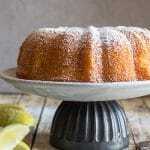 The best type of cake is a pound cake you will want a cake that will hold the coffee and not fall apart. I topped it with the ice cream more coffee soaked cake and a second layer of No Churn. I froze them over night but as long as you freeze them until firm it will work. Or make it the classic way in a loaf pan, the only difference was I only made one layer of soaked cake and I drizzled melted chocolate on top. Whichever way you go both are delicious. Enjoy! 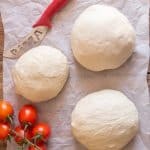 Don’t want to turn on the Oven? Try these No Bake Desserts. 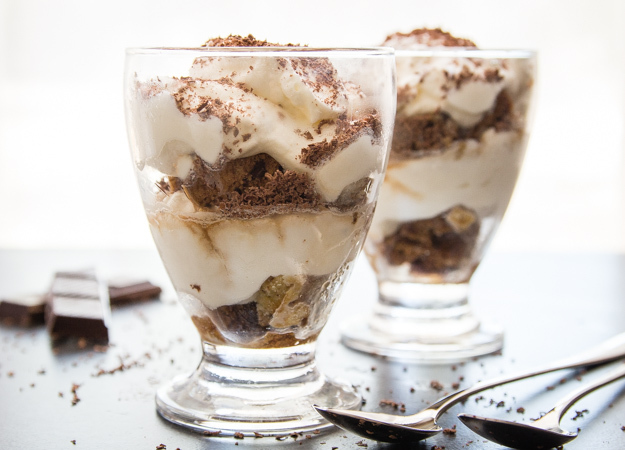 Tiramisu Ice Cream Parfaits, left over cake dipped in coffee & layered with a creamy no churn Tiramisu ice cream. Fast & Easy Dessert Recipe. 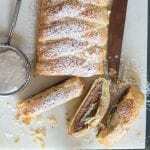 In a medium bowl combine well mascarpone and sweetened condensed milk. In a medium bowl beat cream until stiff peaks form. Fold mascarpone mixture into whipped cream until well combined. 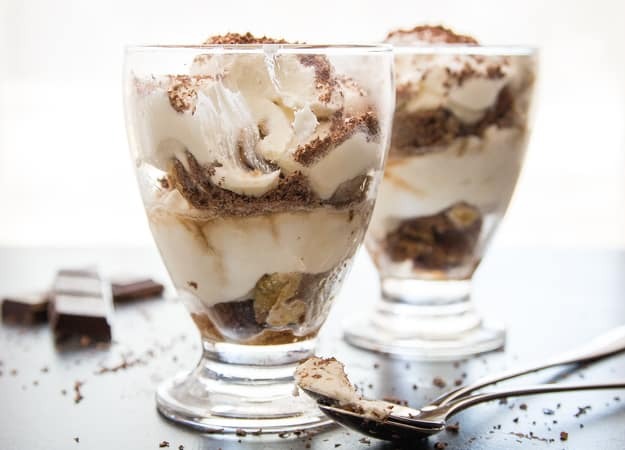 Using freezer safe glasses add a layer of coffee dipped cake and top with 2 or 3 heaping spoonfuls of ice cream continue for 2 or 3 more layers (depending on the size of the glasses). 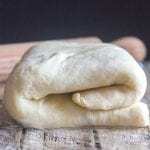 Cover with plastic wrap and freeze until firm approximately 3-5 hours or over night. Sprinkle with grated chocolate if desired before serving. Enjoy! To make loaf Tiramisu, add a layer of ice cream or coffee soaked cake, top with coffee soaked cake or vice versa drizzle with melted chocolate add another layer and freeze until firm. Top with grated chocolate before serving. Enjoy! 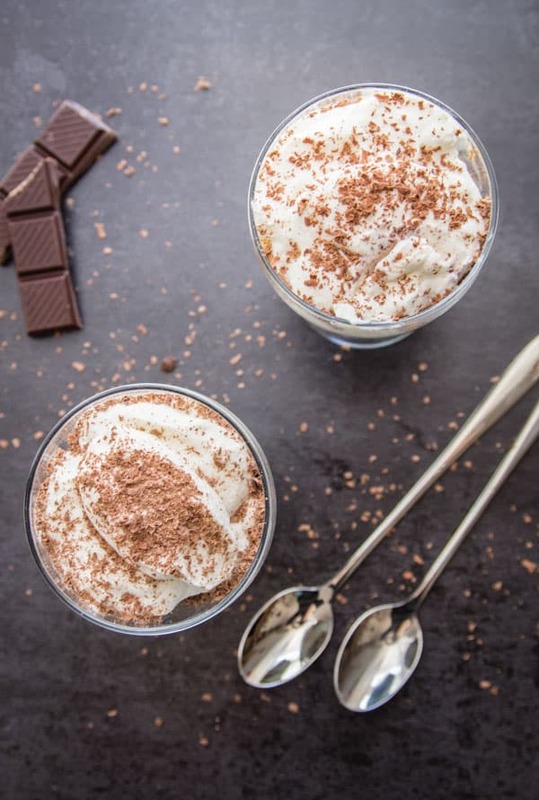 My husband is a big Tiramisu fan and he loved these, thanks for the recipe.